Elvis was famously known for his on stage performances and his lavish lifestyle. He worked hard so he could play hard. He would splurge on fancy clothing, shiny jewelry and sweet rides. 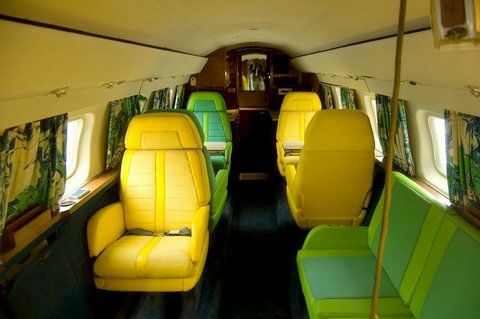 What comes with a lavish lifestyle? Automobiles! Let's look at some of Elvis' most famous cars and get a glimpse into those sweet rides. In 1955, Elvis bought a Cadillac Fleetwood Series 60. The car was originally blue but he had a neighbor paint it pink with a white top. He gifted this car to his mother and it is widely known and probably his most famous vehicle. He was very quick to point out that this was his mother's car. 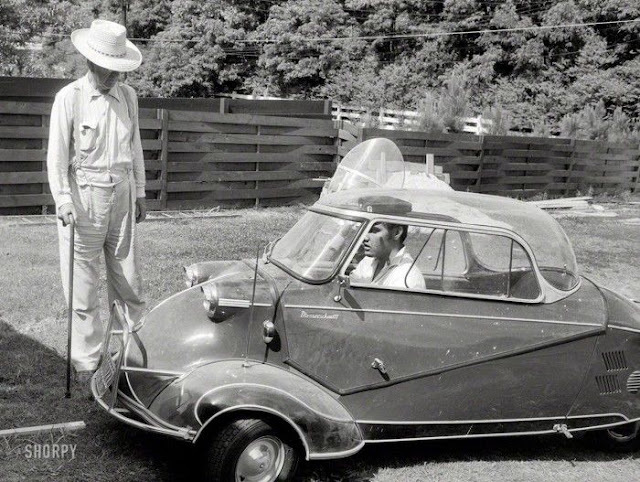 The most surprising car in Elvis' collection was a three wheeled car called the Messerschmitt. The car was German built and had a bubble. He kept this car for a few years and later traded it to the famous Lansky brothers for a shopping spree in their clothing store. He was allowed to shop in the store alone for a few hours and take whatever he liked. 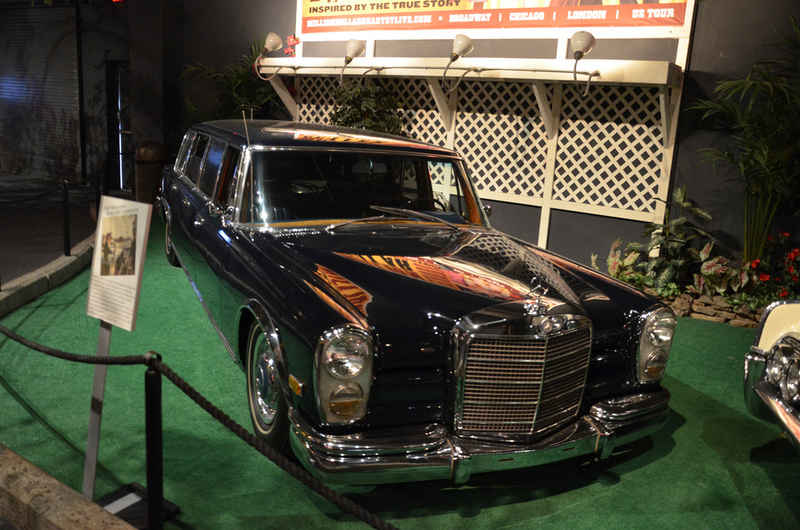 The 1969 Mercedes Benz Pullman is one of the few cars that Elvis bought and kept. 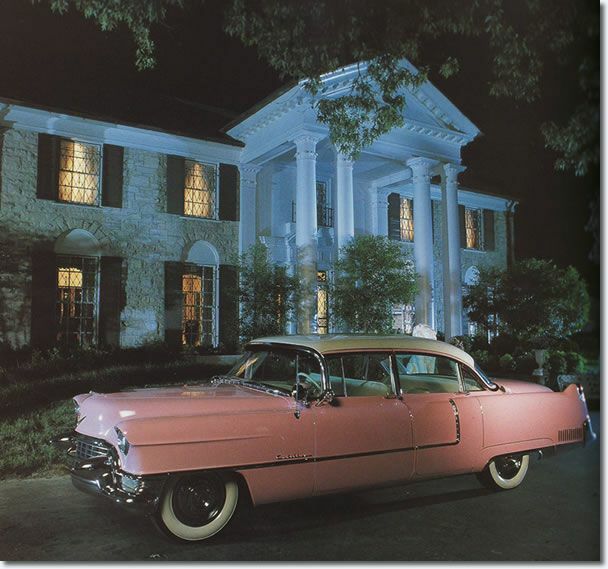 This car can currently be seen on display at Graceland. Elvis rode around this car and could fit multiple people inside it with him. 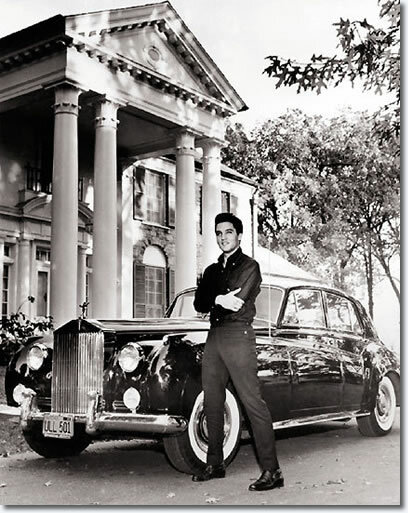 In 1961, Elvis celebrated a 5 year contract in the motion picture business by going out and buying a Rolls Royce. 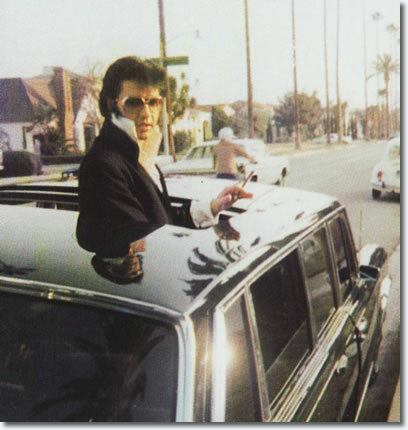 He was in Beverly Hills and had the car shipped back to Graceland. 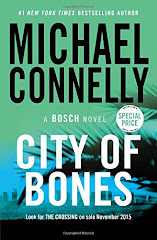 The glossy paint distracted his chickens on the Graceland grounds and the chickens pecked at the paint. Elvis had to have the car repainted several times. 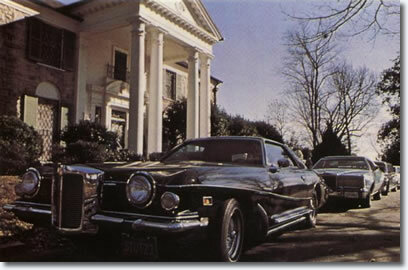 The last car that Elvis was photographed in was his 1973 Stutz Blackhawk III. He had owned three different Stutz vehicles before owning this one. One was in a wreck and then just placed into storage. This 1973 car was one that Elvis kept for years and loved. It is also the last car that he was ever seen driving before his death in 1977. 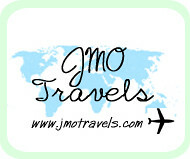 In addition to cars Elvis bought motorcycles, ski mobiles, golf carts and bikes. He loved to ride around the grounds of Graceland in style. He also owned two airplanes: the Lisa Marie and Hound Dog. 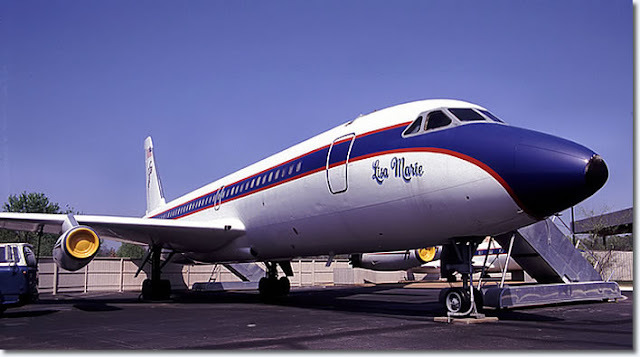 The Lisa Marie was a cross country plane that could hold a large group of people. This plane became a great investment to Elvis when he started touring across the country in concerts. The Hound Dog is smaller but very colorful on the inside. That's just a sampling of Elvis' car collection but you can get an idea of how much he loved his toys! AGH! That plane. Love the colors! !